On Wordplay I said that the clue (not mine) for APP was the puzzle's best, inveigling solvers into confidently entering SPY (and never questioning it afterwards). What I failed to mention is that the shared P between APP and SPY makes the clue way more treacherous, as the solver will be able to solve 6d despite an incorrect crossing. Crossword jargon is not a strong suit—are these duplicitous letters called false friends? Or am I making that up? It'll be interesting to see if the shared P of two seven-letter planets gives anyone similar problems, especially since PEEL is the easiest crossing off 1d. Although Hercules ended up performing twelve labors in total, his original sentence only called for ten. Angered by Zeus's innumerable infidelities, Hera drove her stepson Hercules mad, leading him to murder his wife and children. As atonement, the Oracle of Delphi advised Hercules to submit himself King Eurystheus, performing whatever services Eurystheus named. Hercules' second task, the slaying of the Lernean Hydra, proved difficult. The Hydra, a multi-headed serpent who lived in a mephitic swamp, regrew two heads every time one was cut off. But Hercules' nephew Iolaus, who accompanied him on several of his labors, carried a torch and cauterized the stump of each neck as soon as Hercules had decapitated its head. After dispatching the mortal heads, Hercules buried the Hydra's single immortal head beneath a great rock. The cleaning of the Augean Stables was designed to be an exercise in humility rather than strength. These stables, which held a massive herd of cattle, hadn't been cleaned in decades, and were overrun with waste. Confident that he was making an impossible offer, King Augeas wagered Hercules a tenth of the cattle if he could complete the task in one day. Hercules, not one to admit defeat, diverted two nearby rivers through the stables themselves, washing away the filth. Thus did Hercules accomplish his task in a single day, and so won the bet. Despite completing Eurystheus' ten tasks, the King royally shafted Hercules by ruling that the Hydra and the Stables did not count. 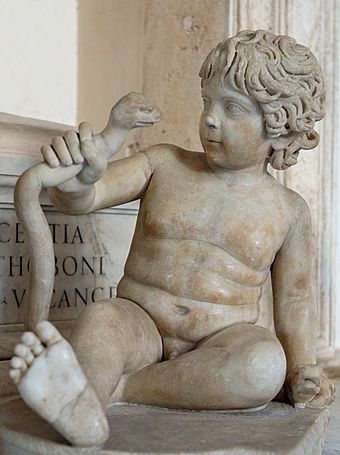 The Hydra, because Iolaus had aided Hercules; and the Stables, because Hercules had received payment for his work. He instructed Hercules to perform two replacement labors: retrieve the Apples of the Hesperides; and capture Cerberus, the three-headed guard dog of the underworld, unarmed. Unjustly enriching oneself off the sweat and skill of underpaid athletic labor, and then harshly punishing said laborers for violating a petty, Byzantine regulatory system and accepting side payment? This must be where the NCAA got its business model from. P.S. Most of the moons of JUPITER, of which there are 67, are named for the lovers or conquests of Zeus. So maybe Hera's jealousy was understandable, even if her revenge was misdirected, and slightly over the top. FIFTH COLUMN is a great term, one I wasn't completely familiar with until today. And an appropriate crossword interpretation, columns which describe the fifth occurrence or instance of the clue. The clue [Planet] usually would be too vague to be usable, but here it's perfect, as the (fifth) is implied from the FIFTH COLUMN revealer. Love how Tim drew from an eclectic set of areas. Greek mythology, the Space Race, James Bond players, the Bible, the elements, the planets … it reads like a scattershot Jeopardy board. No matter what your background, you'll probably know at least a few of the subjects. Makes the solver feel smart, which is a great thing for a puzzle. It's such a shame the term isn't COLUMN OF FIFTHS, isn't it? That would have been perfect. As it was, FIFTH COLUMN felt a bit rickety as a revealer. It so badly wants to highlight column five (VERNE and NIA), or the fifth of the five columns (ALAN SHEPARD / MAY). 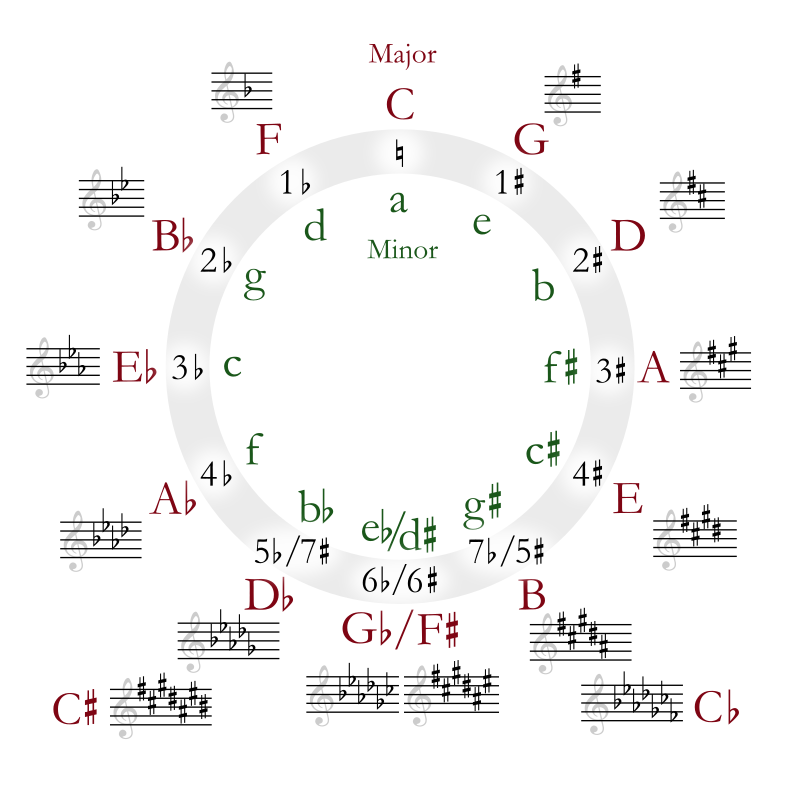 There is a term in music called the CIRCLE OF FIFTHS, but that would be an entirely different implementation. So hard to come up with a perfect revealer sometimes. I liked that clue a lot, but I think it could have been even better if it hadn't had the dashes. [Dot dot dot] implies ". . ." (the ellipses). What a neat misdirection that would be, hitting as strongly as AD LIB and BARBER's clues did. [Go off line?] tries to get the solver thinking about the internet, and [Cut-rate worker?] is more about the cost of a haircut, not being cut-rate. The piece the resistance, though: [One involved in phone tapping] confused the heck out of me. It had to be CIA. Or NSA. Maybe FBI. I tried everything before getting APP through the crosses. Finally, it dawned on me that APPs often require people to tap on their phone screen. Absolutely perfect. Nice idea, very good execution, would have been a POW! candidate if the revealer didn't feel slightly off to me. Answer summary: 1 unique to Shortz Era but used previously. Average word length: 5.06, Scrabble score: 274, Scrabble average: 1.51.